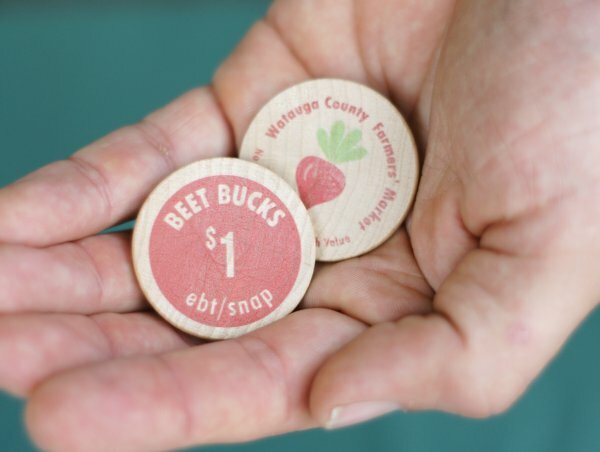 Customers with SNAP benefits can stop by the managers booth to swipe their card for Beet Bucks tokens which can be spent with any vendor displaying the Beet Bucks sign. The vendors do not accept the cards directly. Customers with WIC or Senior FMNP coupons should stop by the manager's booth for a map of the vendors that accept the coupons. They can also look for vendors displaying the yellow FMNP signs. Vendors accept these coupons directly. Forgot cash? Several vendors may have a card reader, however if not, customers can swipe their debit cards at the manager's booth for Carrot Credit tokens which can be spent with any vendor displaying the Carrot Credit sign. $2.00 fee is charged for use of the token program.